During the warmer months (May - Sept) we offer weekly on-farm goat yoga sessions (weather & animal dependent). 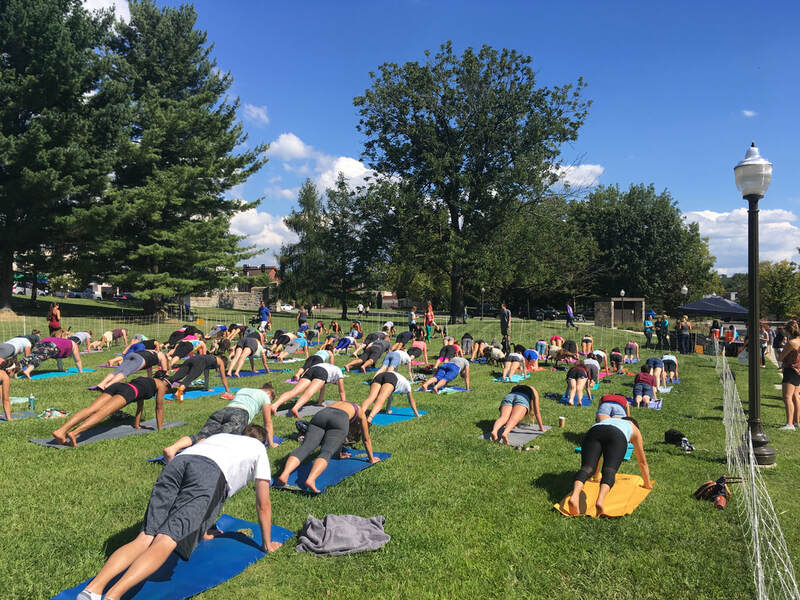 These are led by a certified yoga instructor from the Blacksburg Yoga Collective. Due to limited space reservations are required via BYC's signup page. Suggested donation is $10 per person. We ask participants to refrain from taking photos during the yoga session as it can be distracting to others. Ample time will be given after the session to interact directly with the animals. 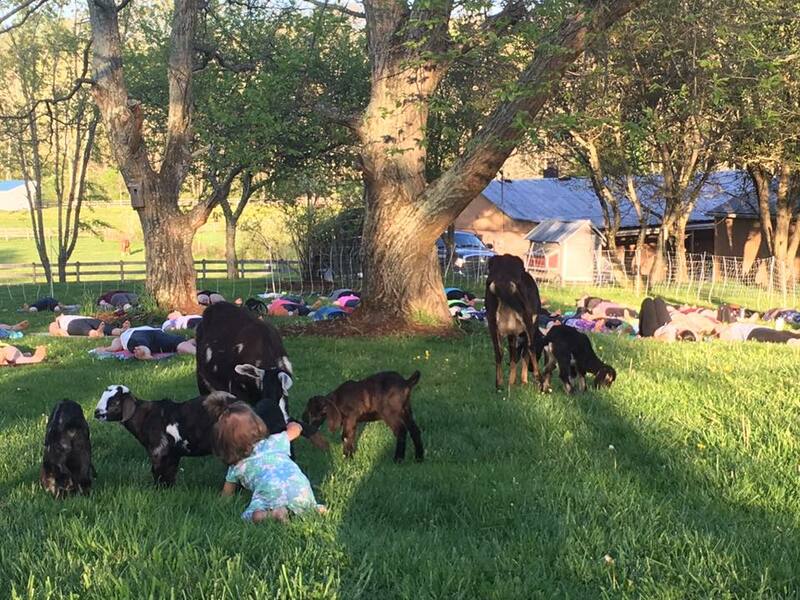 If you would like to schedule a private goat yoga event please contact us for availability.